Still haven't played the first Guacamelee? That's on Nintendo Switch today. Guacamelee 2 stepped into the PlayStation 4 and PC arena back in August. But like its predecessor, it was only a matter of time before it toured other consoles. (We even posed this question earlier this year.) On Monday, the folks at Drinkbox Studios announced that Juan would take his latest adventure onto the Nintendo Switch. The announcement comes via partner company PopAgenda on Twitter. Furthermore, the upgraded original Guacamelee adventure, Guacamelee: Super Turbo Championship Edition, is entering the Nintnedo Switch ring today. Guacamelee 2 takes many elements of the original game and raises the stakes, adding all-new moves for both Luchador Juan and Chicken Juan. There's a new world to explore and wildly-difficult new challenges, while also adding four-player co-op. Even if the final boss isn't quite as hard as the first one, there are still some incredibly difficult challenges in this game for those who seek them. 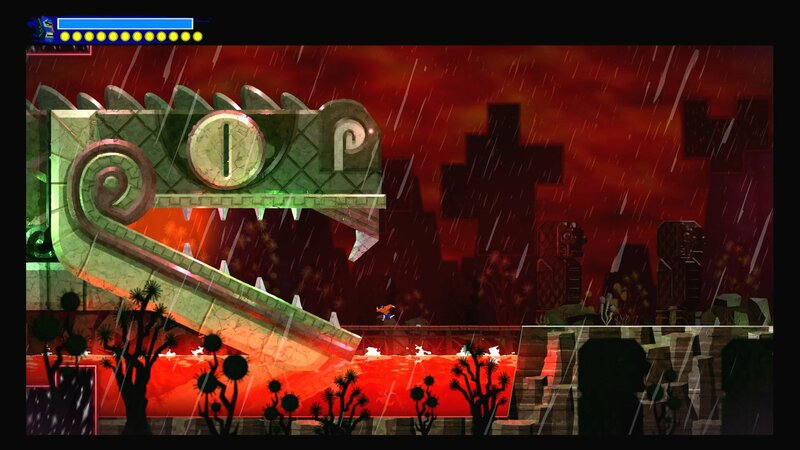 Those looking for more on Guacamelee 2 can check out our review from back in August. Look for Guacamelee 2 to hit Nintendo Switch in December.